Personally, I’ve only used XeTeX so far and without having the time to try out all three systems, I’m having a surprisingly hard time setting them off from one each other. As I understand it, these systems are actually very different in some regards. So I’m explicitly asking for strengths and weaknesses in every-day use (whatever that is), rather than very special scenarios. Both LuaTeX and XeTeX are UTF-8 engines for processing TeX documents. This means that the input (.tex files) can contain characters that with pdfTeX are difficult to use directly. Both can also use system fonts, again in contrast to pdfTeX. However, the two are very different in approach. XeTeX uses system-specific libraries to work. This means that it is very easy to use 'out of the box' for loading system fonts and other UTF-8 tasks. Indeed, it was written for this purpose: supporting languages, etc., that traditional TeX struggles with. This makes for an easy to use engine for end users, particularly if you use the fontspec package on LaTeX. However, because things are 'farmed out' to the OS, there is a trade-off in flexibility terms. In contrast, LuaTeX has bigger aims. The idea is to add a scripting language (Lua) to TeX, and to open up the internals of TeX to this language. The result is that a lot is possible, but it has to be programmed in. There is growing LaTeX support for LuaTeX: fontspec v2 supports it, and new packages are being written to use more of the new features. ConTeXt is not an engine, and so is in a slightly different place here. ConTeXt is a format for TeX, like LaTeX, but is newer and much larger. ConTeXt Mark IV is a LuaTeX-only implementation. The people behind ConTeXt are very active in developing LuaTeX, and are using the new features to extend TeX and what ConTeXt can do. I've already pointed out that I'm working on LaTeX, so of course I'd like to see new features in LaTeX do the same. This is something I and the other members of the LaTeX project are working on. XeTeX basically offers two improvements over the default LaTeX, and has one drawback. 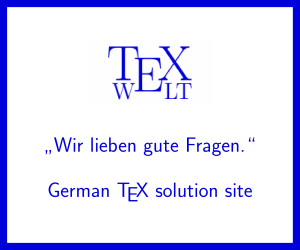 XeTeX supports UTF-8 encoded input by default. In fact, this is the only supported encoding. XeTeX supports TrueType/OpenType fonts directly. This can be harnessed by the powerful fontspec package which makes loading and using installed fonts really easy. Font support goes much further than what most (even professional) editors support. For example, it easily allows access to special font features such as rare ligatures, glyph variants and old style (text style) numbers. XeTeX does not (yet) support the full feature set of the microtype package, as pdfTeX does. However, the main feature, protrusion, works well. Furthermore, XeTeX has PDF ouput only; no DVI or PS. I’m not sure if this can be counted as a drawback but YMMV. Joseph Wright's answer sums up the differences very well, I just want to add that luatex is also a scripting language in its own right: when you run the luatex executable as texlua (or alternatively, run luatex --luaonly) it will behave as a lua script interpreter with a few library additions. This scripting capability of luatex is used for some of the scripts in TeXLive 2010, and hopefully this more scripts can be replaced in the future. The choice is slightly wrong. First two are TeX engines while ConTeXt is a macro package and as such should be compared with LaTeX (in fact you can use both XeTeX and luatex in ConTeXt, although using luatex is definitely preferred). The best comparison of differences between LaTeX and ConTeXt can be found in the article by Berend de Boer LaTeX in proper ConTeXt. To put it in rather simplistic terms: ConTeXt attempts at giving cleaner interface to control typography of the document while retaining LaTeX's structure-oriented approach. Each of them is variation/implementation of TeX. LuaTeX is really just like Knuth's original TeX system (with LaTeX) but is implemented in Lua, which some find to be easier to handle and extend. I believe TeXLive is officially switching to use LuaTeX from now on. XeTeX has especially useful font capabilities. It is essentially standard TeX but the ability to use OpenType and TrueType (instead of Type 1) fonts instead of the confusing setup in standard TeX. If you've ever had to install a font with standard TeX, or even make your own, you know it's a pain, even with fontinst. ConTeXt is a different approach to TeX. ConTeXt is like LaTeX, but with different ideas of how thing should work. ConTeXt attempts to make things easier, especially typographical issues. Colors, figures, and changing document structure is more straightforward in this system. Disclaimer: I am no expert on these systems. I personally use just standard LaTeX. Not the answer you're looking for? Browse other questions tagged xetex luatex context or ask your own question. Which flavor of latex to use? LuaTeX, XeLaTeX or LaTeX? how to tell if I am using XeLaTeX, LuaLaTeX or pdfTex? What exactly are? Are XeTeX and LuaTeX platform dependent?